What do these pictures tell you? still improved looks. Not much else. 1. Is this healthy for gum tissue? 2. What maintenance is required? 3. 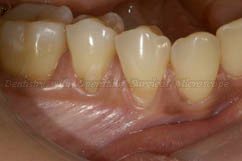 Will veneers have to be replaced? When and why? b) to have a significantly lighter shade. Too-thin veneers can’t mask dark teeth. 2. 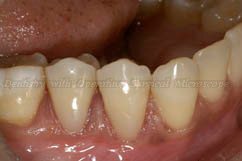 A groove on the front of the tooth is REQUIRED for a healthy finish line at the gum level. A no-prep finish line veneer is jagged and leaves rough cement; both are irritating to gum tissue. Seek out a dentist who helps you fully consider all treatment options in harmony with YOUR values. 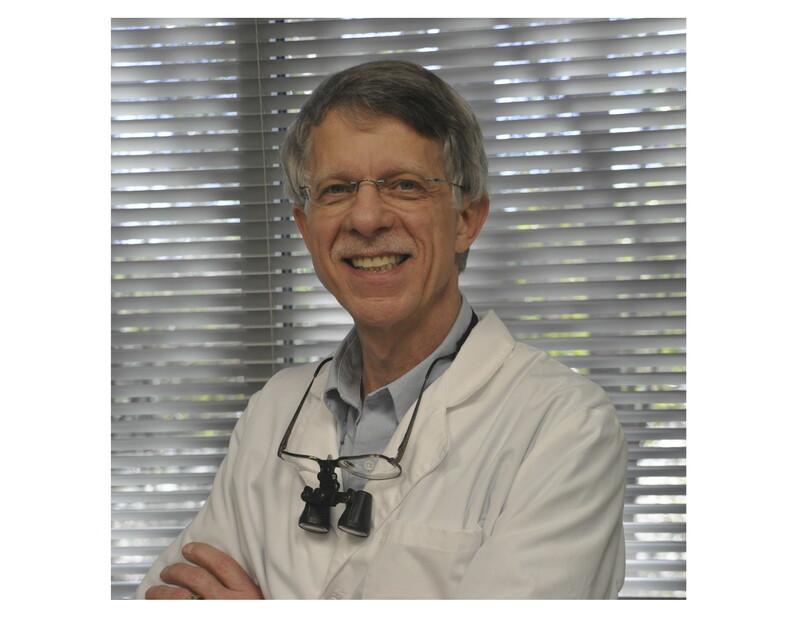 Be sure to consider the maintenance necessary and the possibility of replacing all veneers completely in 15 years. Getting veneers to slightly improve already good looks is short-sighted. 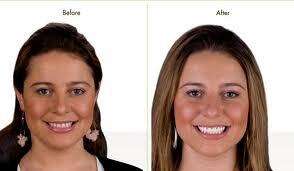 Consider bleaching and recontouring first, because neither requires tooth reduction. My highest guiding principle is: PRESERVE AND PROTECT WHAT WE DID NOT CREATE. Hold the health of your teeth as your highest priority. Don’t get your teeth reduced if you don’t have to. No-Prep veneers are not the answer. Slight, level recession is normal. 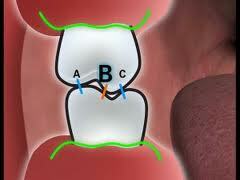 Healthy gum tissue is a fixed distance from the bone. Your gum tissue level reflects the bone level underneath. Never use a hard toothbrush! Soft or extra soft only. The Sonicare electric toothbrush is the kindest to gum tissue. Never use a toothpaste without the ADA Seal of Approval, either. The Seal assures the abrasive is not too rough. 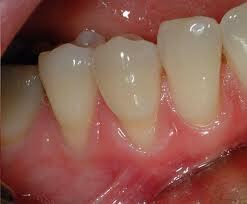 This is bone loss underneath the gum tissue, caused by bacteria, not brushing and flossing enough and genetics. Get checked at your dentist to be sure you don’t have it. Recession here is advanced disease. 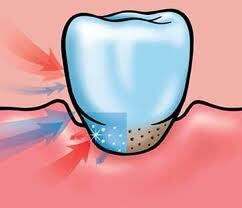 Hitting too hard on one tooth causes recession, and often notches in the root of the tooth itself. Grinding your teeth can cause recession around all your teeth. A nightguard made by your dentist is needed to stop it. A deep overbite can cause gum tissue recession, too. The teeth actually contact the opposing soft tissue, exposing the roots of teeth. Braces are usually required to fix the cause; sometimes a nightguard is enough. 1. 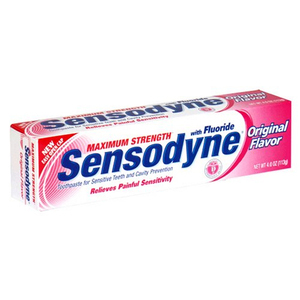 Is the tooth sensitive? 2. Is the gum tissue sensitive? 3. Do food particles stick to the area after eating? 4. Does it look bad to you? If any ‘yes’ answer is important enough to you, see your dentist and hygienist and get it fixed! Most fixes are one appointment. Your teeth are important. 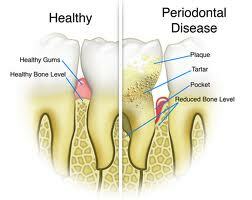 Take care of the surrounding gum tissue and bone to keep them your entire life. You have only one chance!